There's plenty of life left in this old girl. 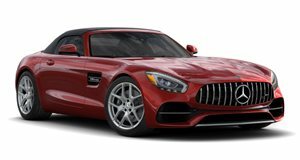 Built for a customer in Finland, MEC Design has revealed one of its latest programs based on a Mercedes SLS AMG Roadster. While the AMG GT hogs the limelight, the SLS is still a firm favorite with the Silver Star faithful. The owner of this particular model has added the German tuner's body kit, including a new front bumper with integrated LEDs, a carbon-finish lip spoiler, a rear bumper, carbon-finish mirror caps, spoiler and diffuser inspired by the Black Series, and carbon-trimmed tailpipes. New side skirts and wheel spacer kit for the original wheels round off the exterior treatment, while inside the drop-top SLS receives a full carbon interior with carbon/Alcantara steering wheel and carbon shift paddles.